Matt and I played a fun game we found this weekend online called Famous Objects From Classic Movies...super fun! 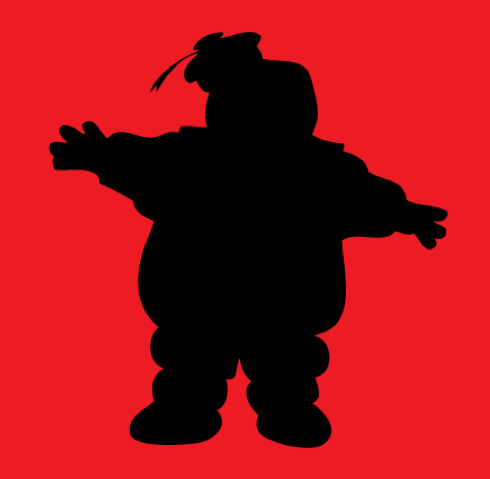 You are shown a silhouette pic like the one above and you have to guess the movie. Some are pretty obvious (although we both had a couple we were embarrassed to have missed) and some are more difficult, but it is set up Wheel of Fortune style so there is a chance to fill in letters and take a guess as well if you're stumped. The more questions you answer correctly, the more rounds you get to play. 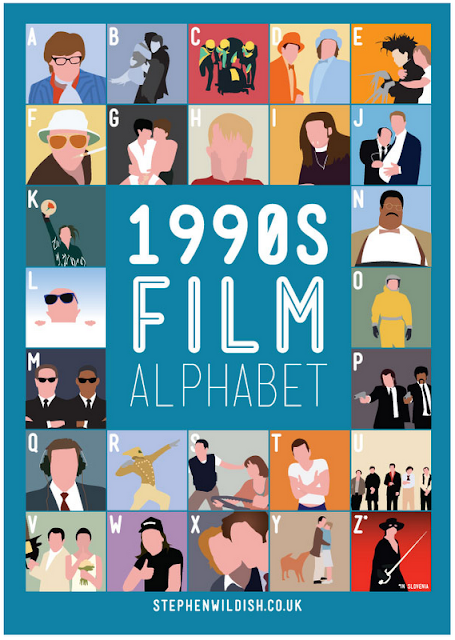 The other movie challenge we did last week was the 80s and 90s movie alphabets. We got some help from friends and I think we've finally figured out the answer to each picture. 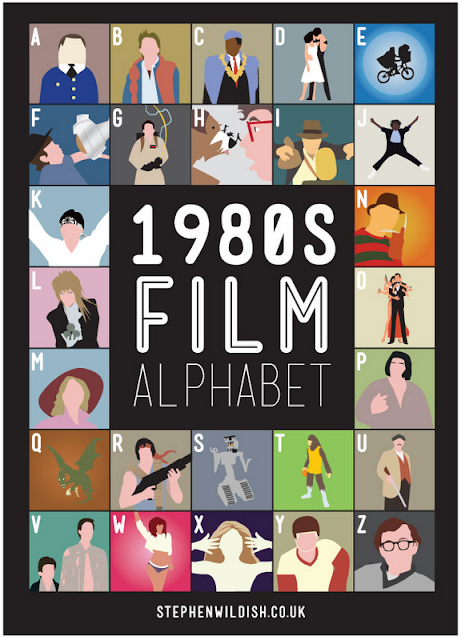 One hint is that the letter of the alphabet is the first letter in the movie title. I'm sad that they would pass up a classic 80s flick like Quicksilver, but still fun nonetheless. Enjoy! I haven't seem many movies for many years. Thank God I am good at 'hangman' or I would have been lost in the dark. It sure is a time killer and fun.